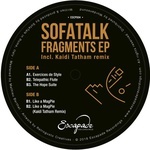 Portuguese artist Ka§par gives Parisian label Escapade its third release. The four tracks span across a wide range of electronic sounds, telling a story that calls on many emotions. "Wail Of A Loon" opens the record with an experimental atmosphere. 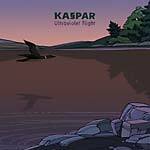 After this laidback introduction, Ka§par goes into a much stronger style: the energy and catchy, twirling melody of "Rigged" make it a total banger. "Vital" is the perfect tune to warm-up a dancefloor, thanks to a swinging rhythm, mesmerizing vocal samples, and funky synth lines. "Alma D'Ouro" rounds up the record with strong jazzy vibes. French artist The Florian Muller Project gives Parisian label Escapade their second release. The four tracks span across a wide range of electronic sounds, showcasing the artist's rich influences. "Friday Afternoon" opens the record with a solid house groove featuring a beautiful Rhodes solo. "Hommage Galactique" pays a tribute to Detroit's hi-tech jazz sound pioneered by Underground Resistance's Galaxy 2 Galaxy. 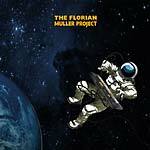 On the B side, The Florian Muller Project leaves out his jazz influences. The hypnotic sounds of "Frederique" conjure up a mysterious, almost jungle-like, ambiance and "Low Tech Soul" ends the record on a deep and atmospheric techno vibe. 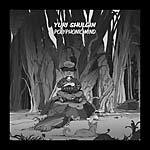 Parisian label Escapade presents its first release, a four-track 12" by Russian artist Yuri Shulgin, who first appeared in 2010 as Mistanomista. His productions mix jazzy and funky vibes with electronic elements, calling to mind the classic Detroit house sound. The laid-back groove of "Nothing in the City" features his friend Yuri Smirnov on alto saxophone; trumpeter Victor Netesov aka Humsafar joins them on "Polyphonic Mind" for a jazzy session. On the B-side, Shulgin reveals his experimental side with two jams using synths and delays. "Livetrackrecording (Dubby)" leans into hypnotic territory while "#1stereo (Analog Jam)" rounds out the record with dreamy explorations.